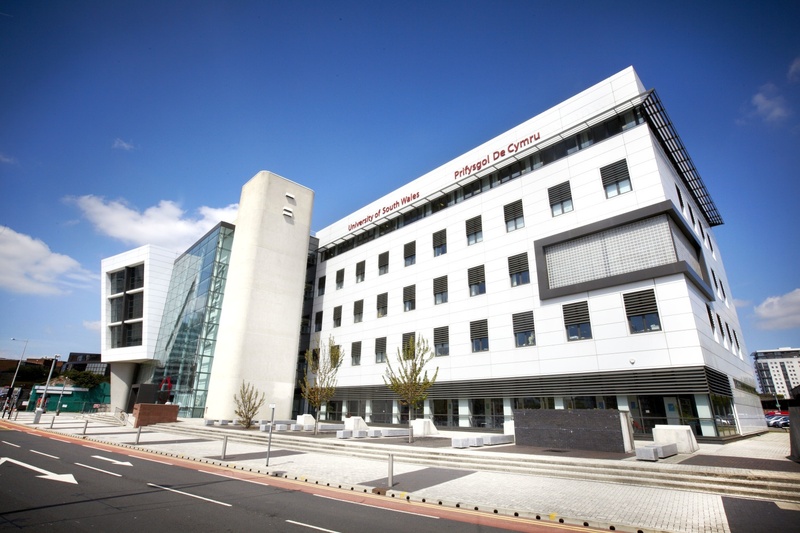 The University of South Wales has nearly 30,000 students enrolled at three campuses across the south of Wales. 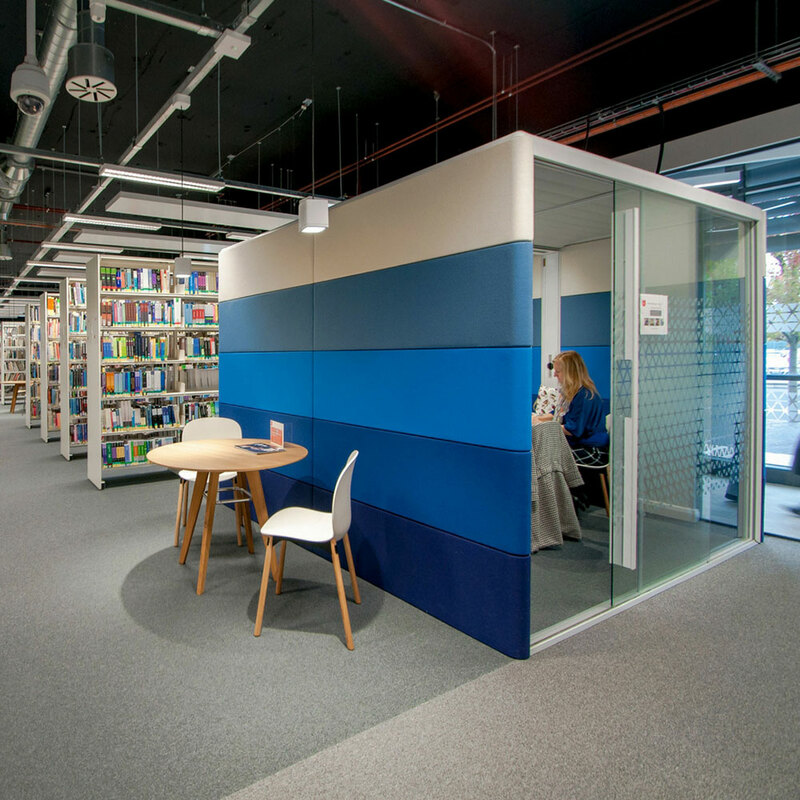 In 2017, they expanded their Cardiff city centre ATRiuM Building, creating new learning environments and renovating their existing ground floor, library and Student Advice Zone. The University of South Wales worked closely with BOF and Boyes-Rees Architects in creating inspiring yet functional learning environments spread across four floors of the brand new extension. The £14.7m expansion to the ATRiuM site included studio facilities for design and fashion courses, dance studios, drama rehearsal spaces and substantial photographic studios. Workshops for media, performance and design courses were also fabricated, as well as model making facilities for animation. Within the newly refurbished library, The RBM Noor & RBM Noor Up was specified in almost every area, in a variety of combinations. Computer terminals, meeting rooms and desking areas were matched with wooden leg & various colours of the polypropylene shell, whilst laptop terminals were paired with the RBM Noor Up styled with metallic sledgebase legs and a 3d veneer in natural oak shell. 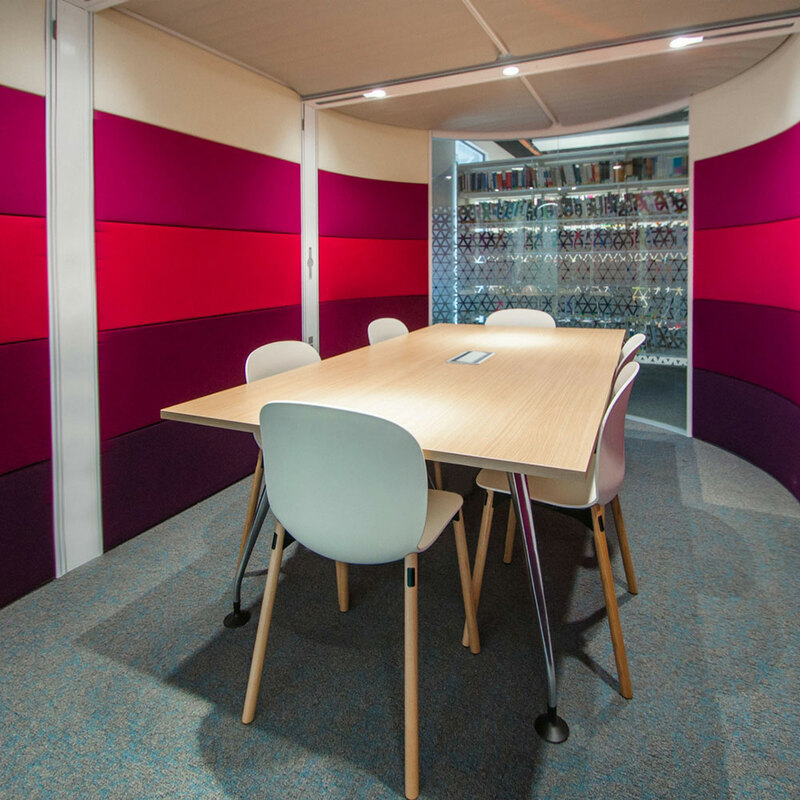 The RBM Noor’s versatility enabled a common theme to run throughout the library and Student Advice Zone furnishing, whilst separating the chairs to their distinct zones. The overall design of the redevelopment created a variety of individual and group study spaces, as well as inspirational classroom environments to allow flexible working for the large variety of creative courses the University provides, typifying the collaborative way in which the creative industries work.